"Death… it's like it moves in and never leaves." 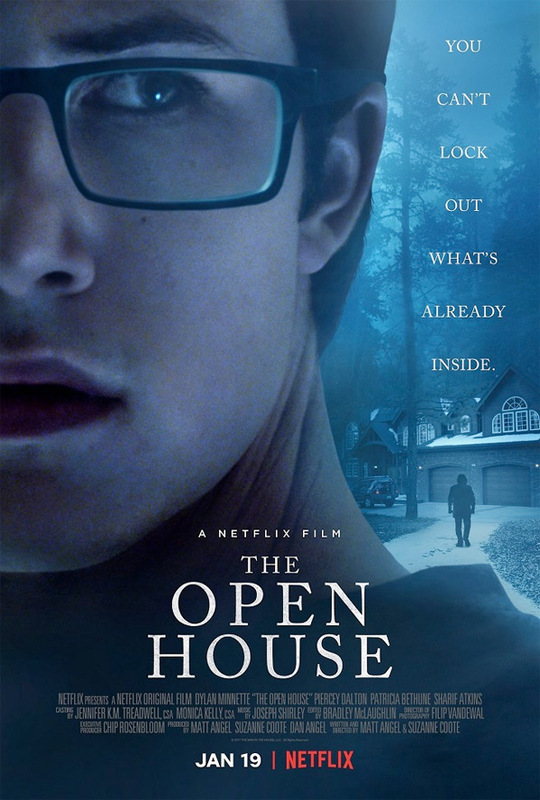 Netflix has debuted the first trailer for a horror thriller The Open House, which is a new horror that has kind of come out of nowhere. The story is about a mother and her son who, following a tragedy, move to a relative's vacant vacation home, where eerie and unexplained forces conspire against them. This doesn't sound like much, but maybe there's something more to it - you will get a glimpse in this trailer. Piercey Dalton and Dylan Minnette (from "13 Reasons Why") star as mother & son, along with Patricia Bethune, Sharif Atkins, and Matt Angel (who also co-directed the film). This looks like a standard haunted house + grief thriller, if you need another one of these in your life. Following a tragedy, a teenager (Dylan Minnette) and his mother (Piercey Dalton) move to a relative's vacant vacation home, where eerie and unexplained forces conspire against them. The Open House is both written and directed by filmmakers Matt Angel (actor on "Legends of Tomorrow", "Sweet/Vicious", "R.L. Stine's The Haunting Hour") & Suzanne Coote (director of the short Welcome Home, Lee), both making their feature directorial debut with this. The film hasn't yet premiered at any festivals or otherwise. Netflix will release The Open House streaming exclusively starting January 19th, 2018 next months. Interested?